E.l.f. Cosmetic’s has been knocking out new products left and right lately, including a brand new lip gloss – their ‘Lip Plumping Glosses‘ – which followed their release of the Lip Lacquers (loved these by the way, and review them here). Needless to say, I was anxious to give these new ones a go. Here are my thoughts, along with some swatches of Champagne Glam and Mocha Twist. What are the e.l.f. Lip Plumping Glosses? They’re glosses designed to provide the high-shine combined with a plumping effect for extra volume. They’re also formulated to nourish, hydrate, and soften the lips using ingredients like Vitamin E and Coconut Oil. There are currently five shades available: Sparkling Rosé, Pink Cosmo, Peach Bellini, Mocha Twist, and Champagne Glam. I was able to get a hold of Champagne Glam (a clear favorite over on Insta), and Mocha Twist (the darkest shade from the collection). The e.l.f. Lip Plumping Glosses are quick on, but also quick off. The tubes come with large, angled doe-foot applicators that soak lips in the hydrating formula with just one swipe. They go on creamy smooth, and instantly moisturize my dry lips. The only downside is that they are very sticky (on a windy day with your hair down, leave these at home!). Because of this, they wear away easily, especially when eating and drinking. Average wear for me is around 1-2 hours. Like all temporary lip plumping products, these create a tingling sensation on the lips thanks to the two ‘plumping’ ingredients – Menthyl Lactate and straight up Menthol. On me at least, the two create an intense feeling – 30-60 seconds in, it’s like pins-and-needles, then after 5-10 minutes it evolves into a lingering warm burning. It’s not the typical light, minty tingle that I experienced using the Buxom’s lip glosses. In the end, despite the intense tingle, I surprisingly didn’t see any plumping effects. There was only a bit of volume added by formula’s glossy finish. Overall, if you’re looking for a sheer, high-shine lip gloss that provides some extra hydration benefits, the e.l.f. Lip Plumping Glosses are an affordable option to consider – just don’t expect much in terms of plumping and don’t use them everyday, as they can be irritating to our sensitive lips! 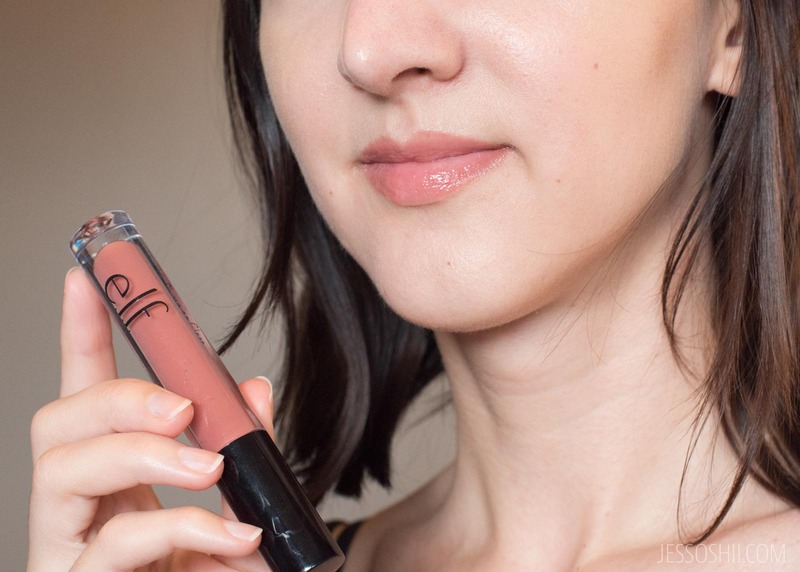 As alternatives, I’d recommend checking out e.l.f.’s Lip Lacquers or their Tinted Lip Oils – they’re both equally gorgeous, glossy, and hydrating, but formulated without menthol and other sensitizing ingredients. Have you tried e.l.f Cosmetic’s Lip Plumping Glosses?